For 10 years, Palm has been stuck in the friend zone with his best friend, Gink. 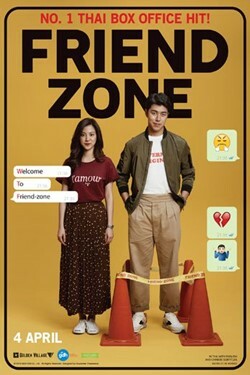 He has had feelings for her since high school and even tried confessing to her then but she rejected him, saying that being friends was enough. Over the years, they grow closer to each other. Whenever Palm breaks up with his countless girlfriends, Gink will tell him off. As for Gink, whenever she fights with her boyfriend, it doesn`t matter which country she is in at the time, Palm will use his perks as a flight attendant to fly to her the moment she gives him a call.